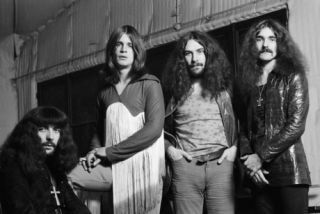 Bill Ward has spoken out about the headaches and heartaches of Black Sabbath's early days in the US. The heavy metal pioneer told NYDailyNews.com that the Sabs switch from European superstars to US unknowns was difficult, and ended with them grabbing the crowd by the scruff of the neck. Almost literally. He said: "We started to get a little angry with the audience because they were just politely applauding, and they weren't really doing a lot of anything else. I was screaming at them to be more interactive. At one point, I threw my floor tom tom drum at the audience. It was kind of an audience battle with the band and the outcome of it was the audience stood up and they never sat down again." Luckily for the band major success, and no lawsuits from floor tom bludgeoned punters, followed. Bill recently spoke to Rhythm (issue 175) about his three decades at the forefront of metal drumming. You can order yourself a copy here.